The Scottish parliament has voted against invoking Article 50, formally opposing the UK government starting the Brexit process. In a non-binding vote, the MSPs voted 90 to 34 to oppose the UK government triggering Article 50. MSPs were voting on a Scottish government motion that argued the UK government’s European Union (Notification of Withdrawal) bill currently making its way through the Commons should not proceed. Great speech by @Douglas4Moray. For the most 'significant vote in the history of Holyrood', the SNP benches are remarkably empty. The motion is not a legal obstacle for the UK government. The Supreme Court ruled last month there was no legal need for Holyrood to give its consent to the triggering of Article 50. First Minister Nicola Sturgeon said, however, she would let MSPs have a say in what would be a largely symbolic vote. Scotland didn't vote for hard Tory #Brexit. Scotland's voice must be heard. In the debate preceding the vote, Scottish Labour leader Kezia Dugdale said while her party accepted the result of last year’s referendum, the people of Scotland did not vote for a hard Brexit. Dugdale went against the orders of Labour leader Jeremy Corbyn by voting against the bill. Labour MSP Jackie Baillie said the SNP are more concerned with using Brexit as a “battering ram” for independence. Baillie says the rhetoric from Sturgeon that this is the most significant vote for the Scottish parliament since its devolution is overblown and does not help Sturgeon’s cause. Tory MSP Jackson Carlaw says Sturgeon is not respecting the voice of Scots who voted to leave, which was 38 percent. He says Article 50 is going to be triggered, and it is important to influence the actual debate that is taking place. The Scottish Green Party supported the government motion. 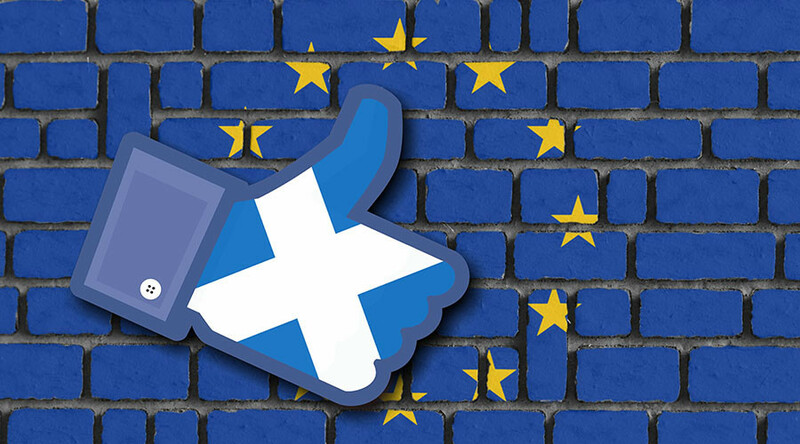 Its coordinator Patrick Harvie says triggering Article 50 now would be like signing a blank cheque. The SNP attempted to block the UK government’s Brexit bill last week. Only one of Scotland’s 59 MPs – Scottish Secretary David Mundell – supported the bill. It ultimately passed its first parliamentary hurdle by 498 votes to 114.